I just love homemade veggie burgers, don’t you? 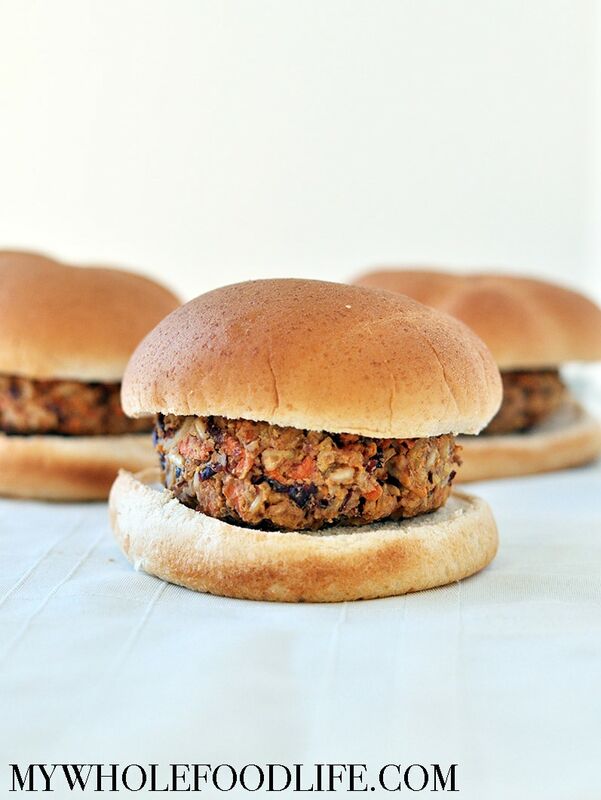 These Kidney Bean Veggie Burgers are packed with protein and fiber! You can eat them on a bun, or just serve the burger with a side of veggies. I like to eat the burger without the bread. I also spread a little Veganaise on top. Smashed avocado may be good on top as well. These burgers also freeze great, so you can double the batch and freeze some for quick meals. Kidney beans fall under the term pulses. Other foods in the pulse category are: lentils, chickpeas and dry peas. Did you know that the UN declared 2016 the International Year of the Pulses? You may ask, why does the UN care about pulses? Let me tell you all about it! The UN cares about pulses because they are good for the environment, and can help feed the world. Pulses have a lower carbon foot print when compared with almost any other food group. Very little water is needed to grow them and they can be grown just about anywhere. They enrich the soil where they grow, reducing the need for chemical fertilizers. Pulses are affordable to almost anyone. One serving of lentils costs just 10 cents compared with a serving of quinoa which is 59 cents. Beef comes in ever high at $1.49/serving! Pulses are very versatile, as you can see from this healthy pancake recipe. You can use them in both sweet and savory dishes. Pulses are considered a superfood because they are nutritional powerhouses. They are high in protein, fiber, vitamins and minerals. Studies have shown that pulses can help reduce heart disease and diabetes. Pulses are naturally gluten free and vegan. So please join me and take the Pulse Pledge – a 10 week commitment to eat more pulses (at least once a week) in 2016! A healthy, homemade burger packed with protein and fiber! Vegan and gluten free. Use a potato masher to mash the mixture slightly. Form into burgers and place on a lined baking sheet. These should keep in the fridge for at least 4 days. You can also freeze them for up to 3 months. Enjoy!! I noticed that the Kidney Bean Veggie Burgers call for baking 15-18 minutes while the Curry Kidney Bean Veggie Burgers bake for an hour. I have always made the Curry Kidney Bean version; I've never tried the shorter cooking time version. The 2 recipes seem pretty similar; just wondered if there is some recipe feature that would allow shorter baking times - shredded vegetables vs. chunks, etc. I think one mixture was just wetter than the other and that's why it required more cooking time. My family and I LOVED these burgers! Thanks so much!! You are so welcome Lyn!